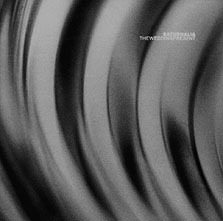 Since their humble beginnings in Leeds, in 1985, the Wedding Present have always been a thorn in the side of an industry that prefers predictability from their artists. 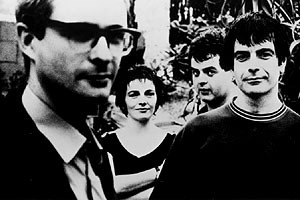 Difficult to pigeonhole, the Weddoes, as they are affectionately known, have ricocheted from label to label (currently Cooking Vinyl, and distributed in Canada by True North), released 12 singles within a year and played musical chairs with the band members until there was only one original member left: David Gedge. Gedge takes it all in stride: "Actually, I'm glad about all the changes. Change is good. We've had a lot of good players come through the band and that keeps the sound fresh, I believe. With all that diversity, we tend not to put out the same old album every time." On the phone from Solsbury, England, on a day where he is, ironically, moving houses, Gedge laughs at the analogy. "I guess I'm a bit of a social defect. I'm all-consumed by the band. I think that's why Darren [Belk, bass/guitar] left. The Wedding Present means everything to me. Many of the people that have come through the band think it's great being with the band and making all these records. But we tour all the time and, myself, I think Wedding Present twenty-four hours a day. A lot of people can't take the schedule." 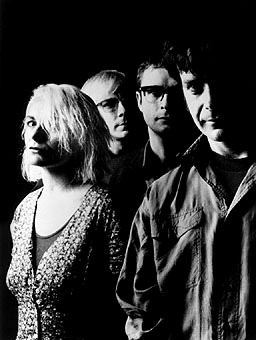 While that may be part of the reason for the Weddoes incendiary, ever-changing sound, the strains it puts on relationships and any semblance of a social life must be immense. "I don't have a social life," Gedge says with no remorse. "The Wedding Present is my life." Heading out on tour to support their new release, Saturnalia, another evolution for the band, Gedge and fellow members have opted for a more smooth pop-hooked sound complemented by bassist Jayne Lockey's clean harmonies. Gedge's potent guitar is still evident, but it carries over with a new subtlety and maturity. "Having Jayne in the band has changed the sound for the better. I mean this with respect for Jayne, but it's like a kid with a new toy. Not only has having Jayne in the band changed the sound, but I think it has changed my attitude lyrically as well. People say I never write a happy love song, which I think is wrong, but having her in the band adds another dimension to the sound that allows for, dare I say, a more optimistic sounding Wedding Present. It's like having a new string on the bow." Recorded this summer in Twickenham at the Cocteau Twins' studio, Saturnalia follows on the heels of the Mini LP. Both were co-produced by Cenzo Townshend, who has previously worked with Ian Broudie of the Lightening Seeds. "Cenzo definitely was an asset, but Simon [Cleave, guitarist] and myself did most of the producing. Cenzo would be there behind the glass while we recorded and if my guitar would be out of tune or an amp would blow, these amazing sounds would be coming out and he would capture them. When you're in the studio and you get these strange sounds by fluke that you'll never be able to reproduce again, it's indispensable to have someone there to put it down on tape." According to Gedge, working at the Cocteau Twins' studio was somewhat unnerving. "I'm a big fan of the band and Robin [Guthrie] came in one day and I'm not really the most confident guy, and he is talking to me with this thick Scottish brogue and I don't understand a word he's saying. To make it worse, the stud he wears in his tongue made everything he said sound like 'blah, blah, blah, blah.'" Ask if he met [Twins' vocalist] Elizabeth Fraser and you hear a bit of resignation in his voice: "I think she is amazing. Her voice is an instrument. Someone told me she was upstairs in the office when we were recording, but I was too scared to go and see her. I should have gone up and seen if she would have been into doing some backing vocals on Saturnalia. Then all those Cocteau completists would have had to buy our disc."